Grímsey is a gem on the Arctic Circle, just 40 km off the north coast of Iceland. Courageous fishermen live there with their families. The island stands alone far out on the horizon, a blue cliff, surrounded by the wide Arctic Ocean. 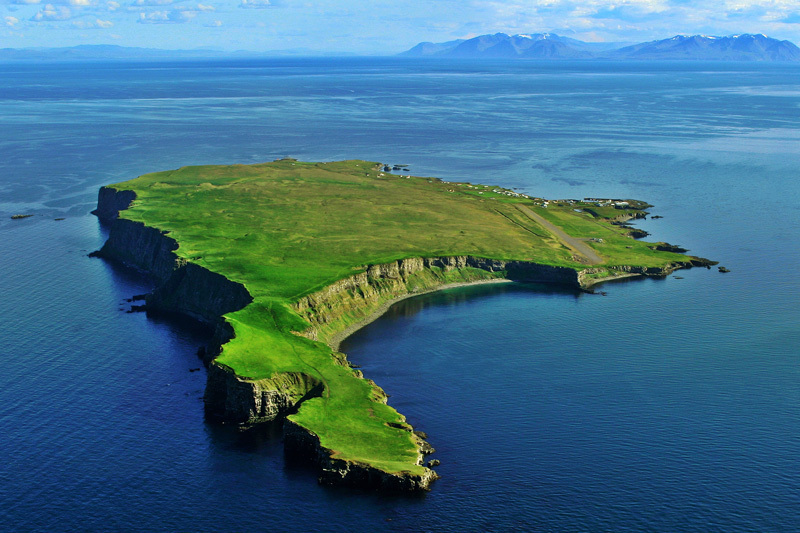 Grimsey Island - far away in the north: Home of one hundred people - and one million seabirds. The island stands alone far out on the horizon, a blue cliff, surrounded by the wide Arctic Ocean, about 40 km off the north coast of Iceland; it is about 5 square kilometers in area. The fishermen of Grimsey harvest the rich fishing banks all around the island but often venture in their small motorboats much further north on the Arctic Ocean. An endless ocean which often turns wild, with storms and frost, the waves even 15 m high. Or the polar ice may drift from the north and keep the ocean frozen all around the island. - At other times, such as during summer, the same ocean may be a shining mirror. The islanders live in a small village by the harbor - a prosperous and fertile community with many children. 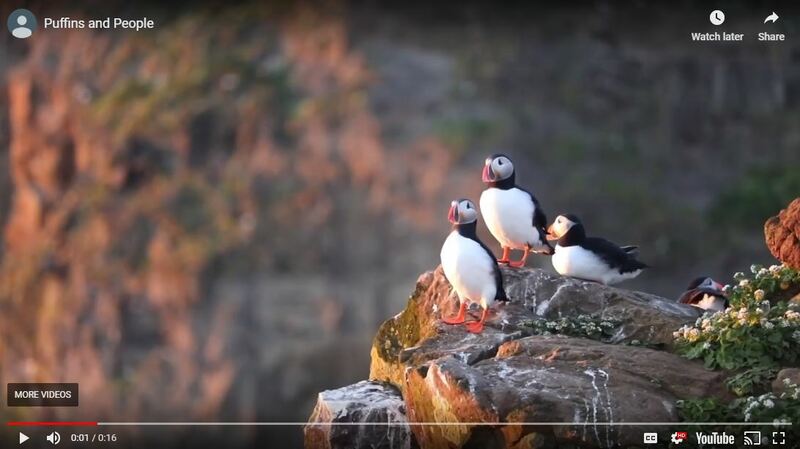 The chorus of seabirds, never stops during the 24 hour long day - there is no night in Grimsey during the summer, not until late July when twilight begins to descend around midnight. - The birds nest in the high cliffs that surround the whole island, except by the harbor. During winter the daylight is very short; most of the sea birds stay far away , out on the open sea. In the village, the families live a modern kind of life today. They are well off, have a good school for their children, the harbor has been improved. A church has been there for eight hundred years. There are two guesthouses as well. A ferry serves the island three times a week. Even an airport has been built for regular flights. Click on the image above to view a brochure about the island on pdf format.